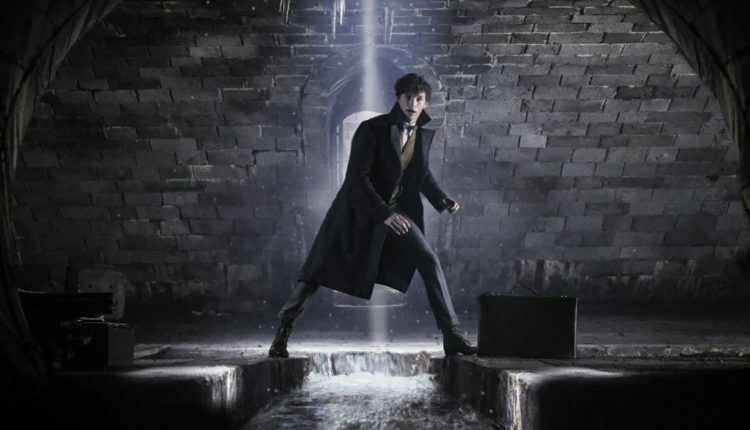 Last year (actually, that’s the year before last year now) Fantastic Beasts And Where To Find Them introduced audiences to a different era and setting in the Harry Potter universe, successfully captivating audiences worldwide to the tune of $814 million. Writer and Producer J. K. Rowling has since announced that the Nov 2016 movie would be the first in a series of five films to span the years in that era and expanding on the feud between legendary wizard Albus Dumbledore and the dark wizard Gellert Grindelwald. 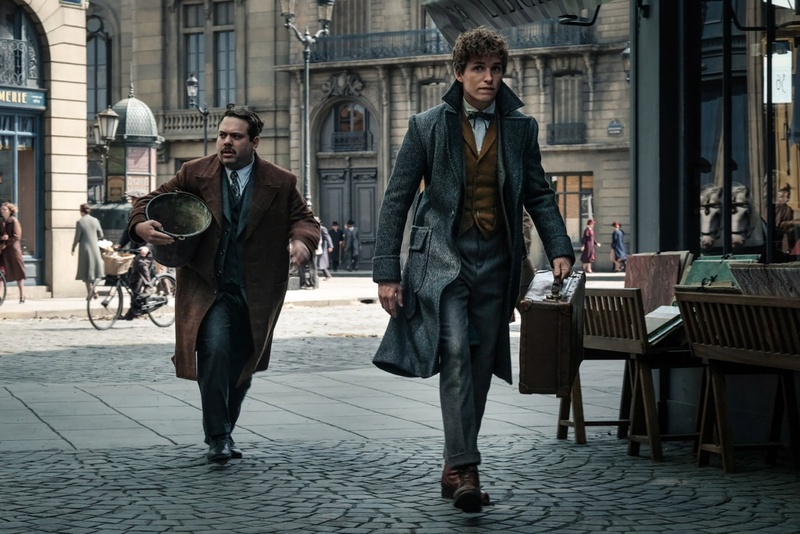 Now, Warner Bros. has released a new batch of images from the movie giving us some clear looks at these characters in action. 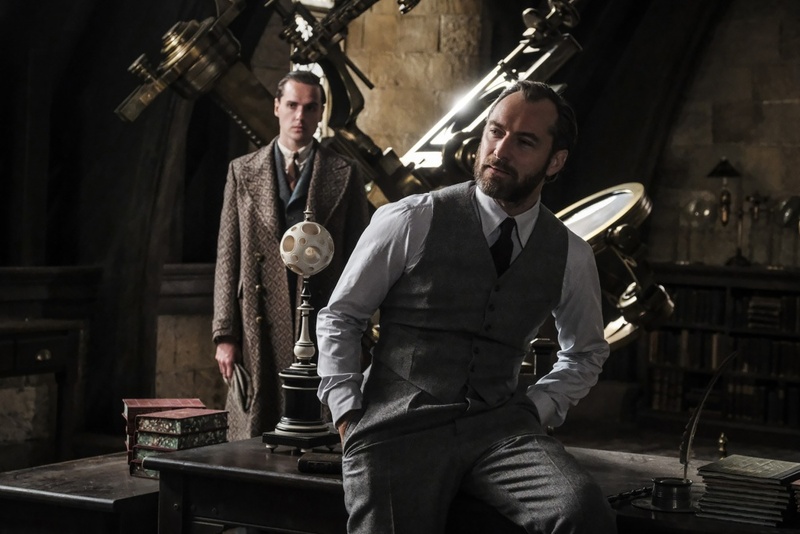 Leading the pack is Jude Law as Albus Dumbledore looking every bit as dashing although judging by his appearance, one wonders about his aging in general and how old is he in the movie. 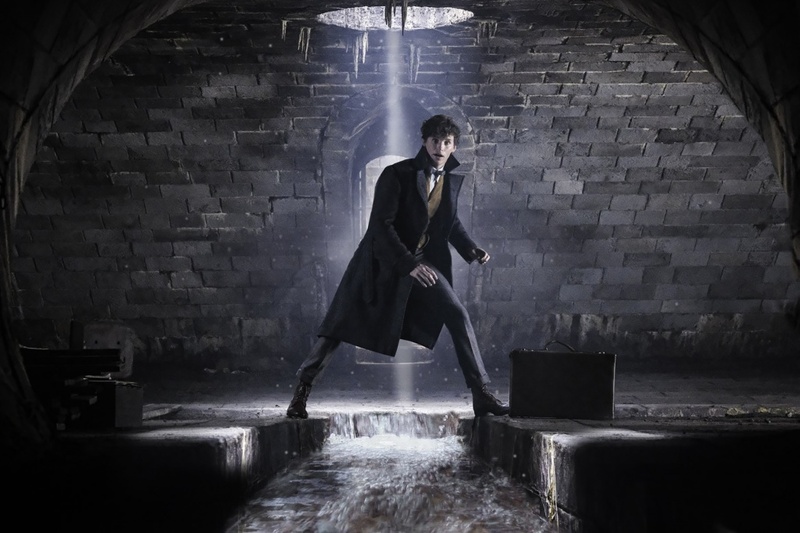 We also get some peeks at Newt Scamander played by Eddie Redmayne trailed by Jacob Kowalski in one of the pics and onlooking something in the other while balancing himself underneath a tunnel or sewer. 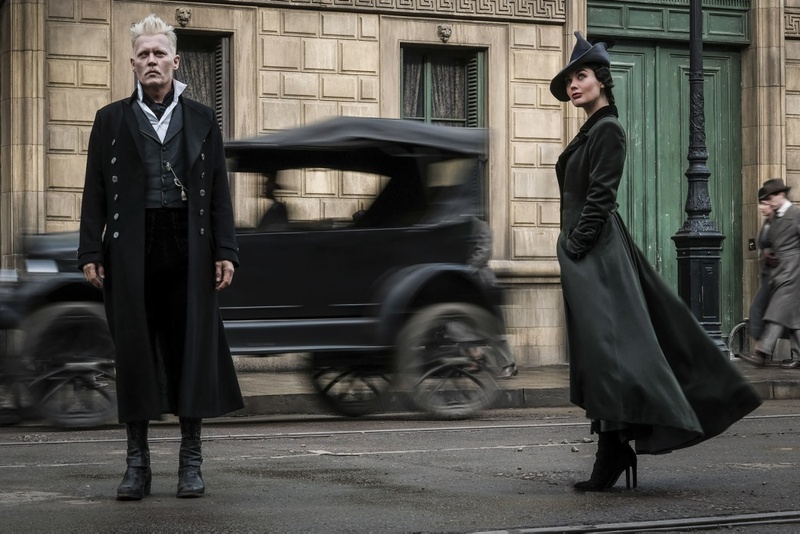 Finally, we get a look at Johnny Depp’s Grindelwald along with new character named Vinda Rosier who is potentially a follower of Grindelwald. The Digital Spy claims that Vinda is “a member of a pure-blood wizarding family who are believed to be one of the Sacred Twenty-Eight”. Rosier was supposedly also related to the Malfoy, Lestrange and Black families and participated in the first wizarding war as Death Eaters. 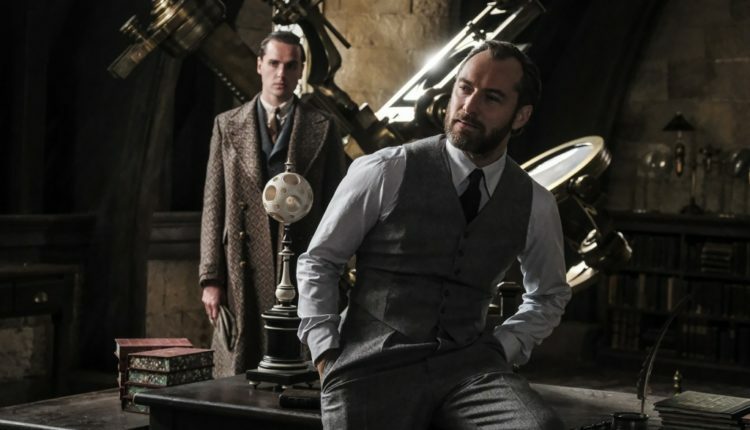 Subtitled The Crimes of Grindelwald, the sequel was in production for much of last year until it wrapped around the close of 2017. The movie is now undergoing post-production and which means we shouldn’t be surprised to see more such stills released in the future. 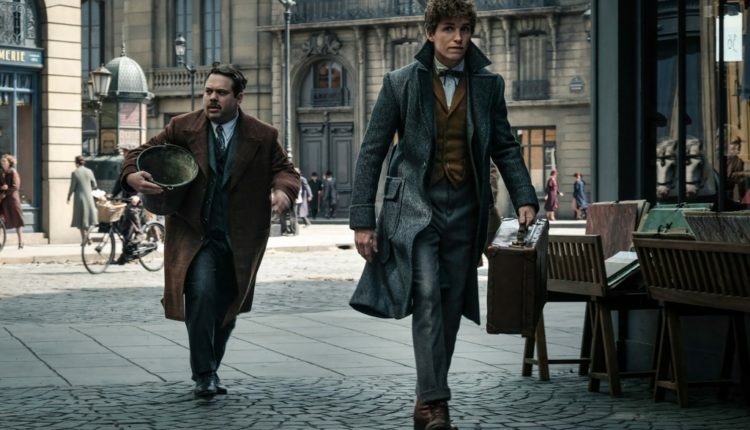 Perhaps a teaser or two could be incoming as well; with Tomb Raider and Ready Player One both scheduled for March by Warner Bros., there’s a high chance a small glimpse into the next Fantastic Beasts movie could be packaged to capitalize on the audience of these two tentpoles. Fantastic Beasts: The Crimes of Grindelwald releases in theaters on Nov 16, 2018. © 2019 - Appocalypse. All Rights Reserved.